WEST END COTTAGE: Is this the next generation of budding builders and architects? Is this the next generation of budding builders and architects? Our local Kindy has a large proportion of children who are fortunate enough to live in architecturally designed homes or whose parents are architects themselves. And I'm not necessarily talking about lavish or grand houses, but ones that are thoughtfully designed to invoke the senses and inspire imagination and creativity. Living in such homes on a day-to-day basis surely must influence those young minds just a bit. 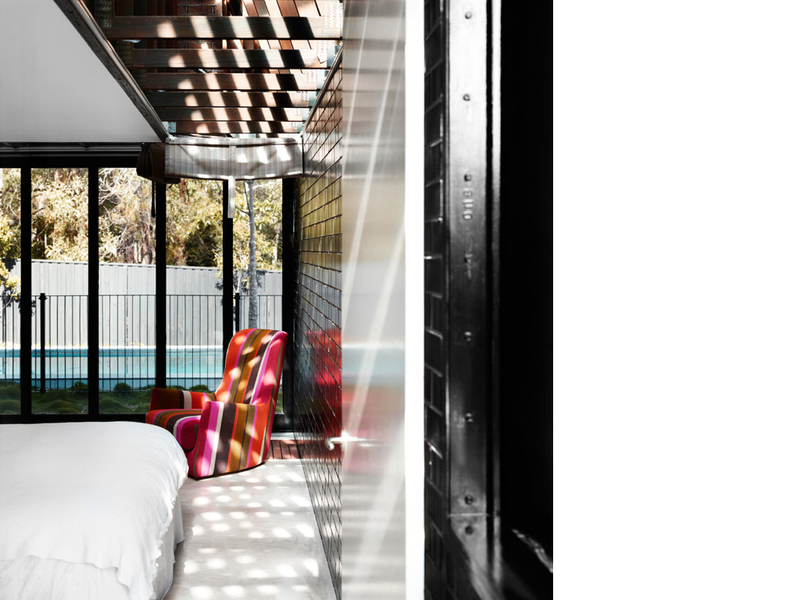 And it reads like a who's who of local talent - OwenandVokesandPeters, Aardvarc, Riddel Architecture and James Russell Architect who incidentally took out the recent honour of Australian House of the Year Award for his Bisley Place House in the 2013 Houses Awards. Big congratulations to you Jamie - well done! As a child who grew up in a "govie" (a colloquialism used to describe a typical Canberran government-built house or "housing commission" home as they are known in Queensland) I wonder if these children realise just how fortunate they are. I hated the house I grew up in and from a very young age I used to scan through the local Realtor looking at the houses for sale, dreaming of somewhere nicer to live. I distinctly remember wondering why the homes in Queensland were so cheap in comparison. (If only I had some money back in the 70's!) Perhaps my interest in houses from an early age was due to humble beginnings - was I subconsciously looking for greener pastures way back then? And how ironic is it that I should end up living in a worker's cottage in Brisbane? I'll finish off today with a bit of goss for anyone who reads The Design Files - you must keep a lookout for the upcoming interview that Lucy Feagins recently conducted with O+V+P. It's so great to see our local talent winning awards and being showcased on a national level. Great post Caroline, the only thing missing was Kevin McCloud narrating and the Grand Designs theme music! As an aside each Sunday night on the ABC just before Grand Designs there is a 10 minute Australian show called 'Dream Build' - some houses are out there, some are really unique, all are architecturally interesting whether they are to your taste or not. My eldest daughter (9) loves Grand Designs and my youngest daughter (4) and the eldest both love Friday nights because they watch Better Homes and Gardens. Maybe the next Kevin McCloud or Jamie Durie will be one of them?? It is so great to see our home grown talent being recognised, isn't it?! I lived in the same house all my life until I moved out, my parent built it and they still live there. I would draw up plans and ask them to extend my room, build a balcony off it etc.. And it never got done! Shame they didn't recognise my architectural merit!! OMG! Deja vu, my formative design years were spent living in a housing com too, and so began my lifelong obsession with interior design and 'making things nice!' Hah, those early years!